As I commented at the beginning of this blog, the scope is wide and the issues to be covered many. Maybe too much! To address them, sometimes I write about complex and far reaching topics, while others try to segment them in smaller parts. Finally there are aspects that are both concrete and important, all related to violence and peacebuilding. This is one of those cases. The question at the title may appear as a paradox, if we identify drones just as a weapon for targeted (and distant) killings. But there are many other issues related to drones that are already subject to debate and becoming a practical tool in different situations. So, let’s go ahead: Can drones make a contribution to peacebuilding? The technological advancements related to drones are setting the pace for a multiplicity of debates in international relations. The most known and controversial use of drones is that of the US in the ‘war on terror’: targeted killings of leaders and militants of Al Qaeda and other groups designated as enemies. This use of drones has raised an array of legal and ethical debates. 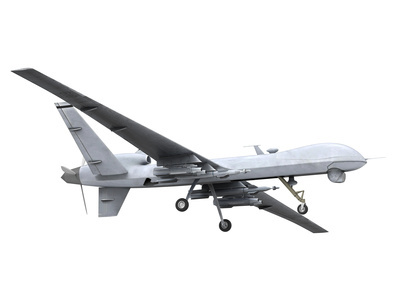 The use of drones for targeted killings, is legal or illegal according to International Humanitarian Law? What is the impact on the Law on human rights? And what the impact on the relations with local authorities? What happens when they cause civilian casualties? The US has been the first in developing and adopting this technology in war. Those who defend it argument that drones are accurate and allow ‘clean’ operations, with no casualties in one’s side. But as technology develops, they will be cheaper and accesible for many. What will this mean when other countries use them in the same ways? And when non State armed groups (rebels, organized crime and the forth) own them? Let’s take another point. Although it is only at first steps, drones are becoming a tool for peacebuilding missions and humanitarian operations. Here also are positions for and against, and the questions and doubts at stake are different but critical. In peacebuilding missions, their main use is the gathering of information about potential threats, something that would allow a quicker response. Drones have also been proposed for the monitoring of human rights in conflict or unsafe areas. The information gathered by drones in peacebuilding missions, can be used to build complaints in the International Criminal Court? What are the implications of this possibility for future operations? Who will be responsible if information about threats to civilians is available in real time but protection is not guaranteed? And a last questions: can technology be a substitute for the political will to reach peace? At the beginning of this year, the UN approved drones as a tool for the Stabilization Mission in the DRC (MONUSCO), to gather real time information about potential threats to civilians and monitoring smuggling activities. It is a good case study since MONUSCO is by large the biggest UN peace mission; it has a new mandate including the potential use of force for the protection of civilians, and drone deployment is a new avenue to explore. It also raises many doubts, of course. If you are interested in the use of drones in peacebuilding, maybe you with to read this article that I published recently. Esta entrada fue publicada en Conflictos, Construcción de la paz, English y etiquetada drones, International humanitarian law, MONUSCO, peacebuilding por Mabel González Bustelo. Guarda enlace permanente.